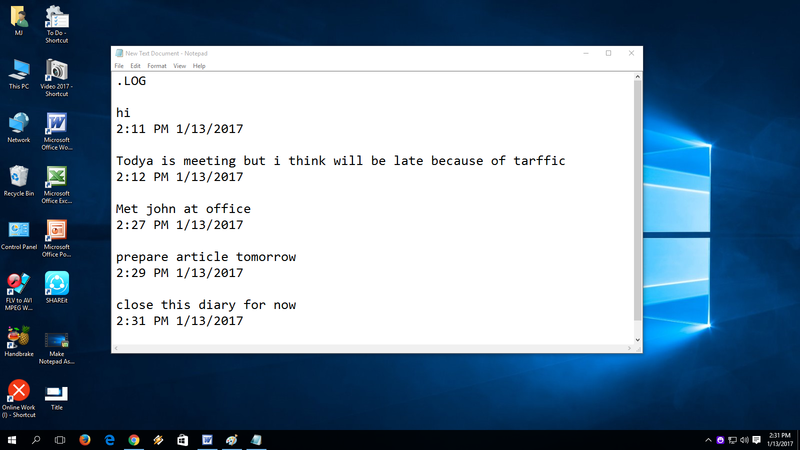 You ever think to use notepad as your personal diary or do list? 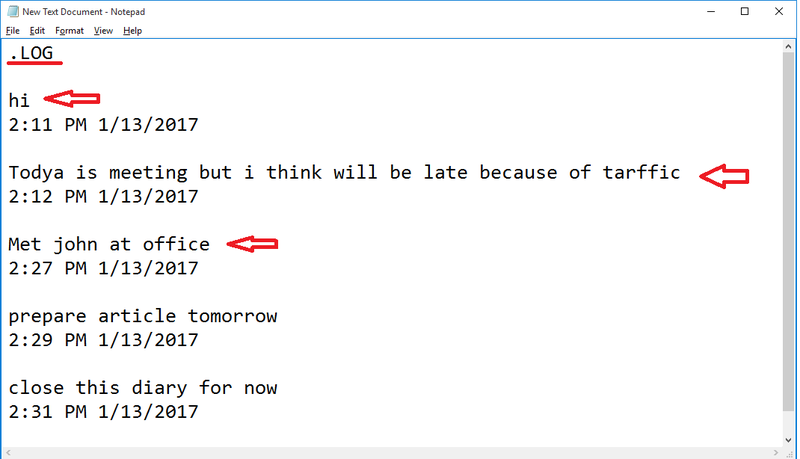 If yes than continue this article, here I will shows easiest way to make personal diary using notepad, it will auto insert time and date to your all activities and do to list. So let see how to do this. 1. Open notepad and just type “.LOG” and start typing your notes or personal activities from next line. 2. 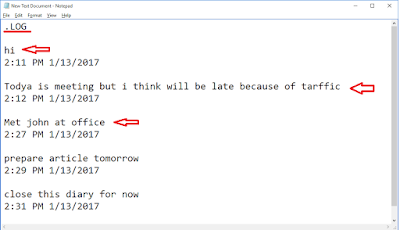 After you done save and close the file, next time when open this file it will automatic insert time and date just after your notes.